Finding someone's name by using their cell phone number requires some investigating. Due to privacy regulations that help prevent telemarketers from using people's cell phone minutes with unwanted phone calls, cell numbers aren't printed in traditional white page directories. (Even if they were, you would still need a name and address to locate a number.) When you do make contact with the number's owner, remember that if they are a stranger, they might not want to reveal their name and they will ask how you got their number, especially if it's unlisted. 1. Call the cell phone number. Introduce yourself to whomever answers. Explain how you came into possession of their phone number and ask them to identify themselves. 2. Send a text to the phone number. In the text, identify yourself, explain how you got the number and request that the recipient, if she is comfortable with it, send you her name. 3. 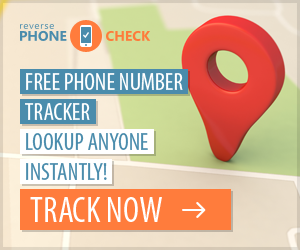 Do a reverse number look-up through an online phone directory. Enter all 10 digits of the number in the applicable field and click the "Submit Search" button to run your query. 4. Ask or email your close friends and associates to see if they recognize the phone number. Don't send an email to a large group of people revealing the phone number---it could belong to someone on your list who doesn't want his information circulated. 5. Call 411. When the automated answer system asks for the city and state of the phone number you want, respond with, "Reverse number search." You will be directed to an operator who will handle your request. As of June 2010, the 411 reverse number search wasn't available in North Carolina. Depending on which website you use, you might have to pay for the information when you run a reverse cell phone number look-up search. Christa Titus is a dedicated journalism professional with over 10 years writing experience as a freelancer with a variety of publications that include "Billboard" and "Radio & Records." Her writing has also been syndicated to such media outlets as the "Washington Post, " the "Seattle-Post Intelligencer, " the Associated Press and Reuters. Titus earned a Bachelor of Arts in journalism from Rowan College.